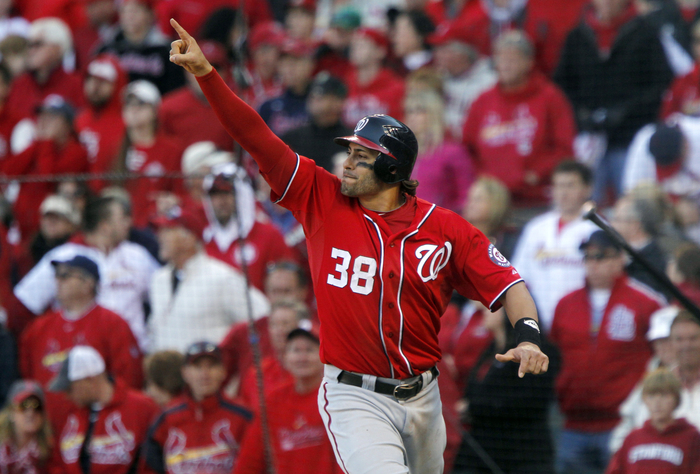 Micheal Morse had his best year in 2011 with the Nationals, where he hit .303, with 31 HRs and 95 RBI during his 515 AB. Funny enough his Roster Tree goes all the way back to Jose Vidro. Vidro was traded to the Mariners for Chris Snelling and Emiliano Fruto. Snelling was traded to the A’s for Ryan Langerhans. Langerhans was traded to the Mariners for DA Beast in 2009. Morse put up great numbers for the franchise. Some say the offense has not been the same since #38 left. The club was not going to resign him – and he was dealt in a 3 way trade – that netted the franchise back A.J. Cole, Ian Krol and Blake Treinen. Not bad to have assets originally from drafting Jose Vidro way back in the early 90’s. Kurt Suzuki (29) C: August 3, 2012: Traded by the Oakland Athletics with cash to the Washington Nationals for David Freitas (minors). David Frietas was Drafted by the Washington Nationals in the 15th round of the 2010 MLB June Amateur Draft from University of Hawaii at Manoa (Honolulu, HI). This one is too early to decide yet, but Freitas is not tearing it up in the Minors. Suzuki is a costly, but needed back up Veteran Catcher for the Nats. Adam LaRoche (33) 1B: January 7, 2011: Signed as a Free Agent with the Washington Nationals November 1, 2012: Granted Free Agency.January 8, 2013: Signed as a Free Agent with the Washington Nationals. Laroche is a steady First Basemen for the club. He has a 33 HR and 100 RBI campaign in 2012 – and I suspect him to end with a 25 HR and 75 RBI season this year. He is good defensively and worthy of his 2 YR/$24 MIL contract MIN. There is a Mutual Option in 2015 for $15 MIL that the club may decline by then. Danny Espinosa (26) 2B: Drafted by the Washington Nationals in the 3rd round of the 2008 amateur draft. Espinosa is hurt for the remainder of this year. He is an above average 2nd Base offensive player when healthy Would be nice if he could cut down his Strikeouts in the future. Nationals Career: .230/.303/.698 – with 47 HRs, 79 – 2B, 38 SB in 1429 AB. Ian Desmond (27) SS: Drafted by the Montreal Expos in the 3rd round of the 2004 amateur draft. Ryan Zimmerman (28) 3B: Drafted by the Washington Nationals in the 1st round (4th pick) of the 2005 amateur draft. 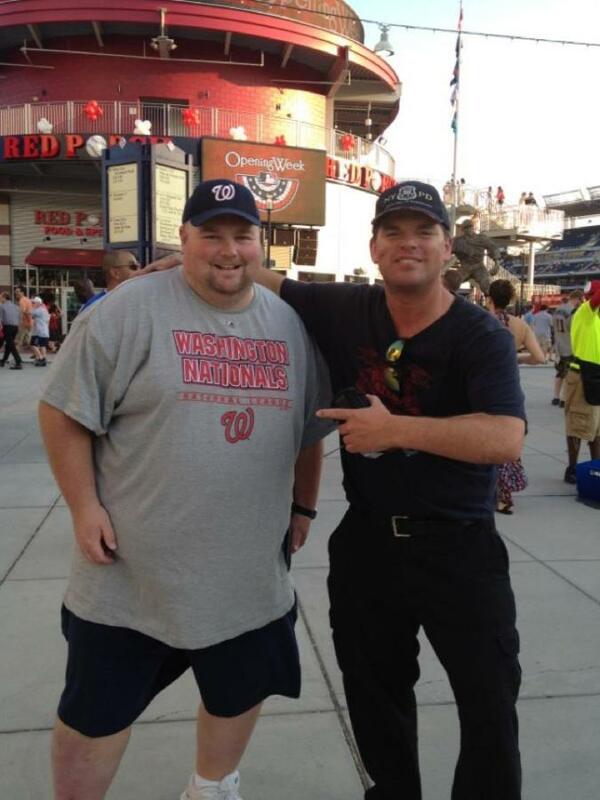 Zimmerman has been the best offensive player on the club since day 1 of the Nats. He is a career .286/.353/.829 – with 164 HRs and 644 RBI in 4178 Career AB. Zim is signed until 2019, with a 2020 Team Option. Bryce Harper (20) LF: Drafted by the Washington Nationals in the 1st round (1st pick) of the 2010 amateur draft. Harper is the real deal. He has a 3 Slash so far of .268/.346/.835 – with 82 XBH (35 HRs, 36 -2B and 11 Triples), 24 SB and 137 Runs Scored in 749 AB. Alex Meyer was Washington Nationals in the 1st round (23rd) of the 2011 MLB June Amateur Draft from University of Kentucky (Lexington, KY). Alex Meyer is the 40th ranked Prospect by Baseball America. He is currently with the Twins AA affiliate with New Britain of the Eastern League. Span has struggled in a Nats uniform.,,Batting .262/.319/.676 – with only 41 Runs in 92 Games Played. Span is signed through 2014 – with a Team Option that will likely see the club walk away from. Unless he turns it around, the only way the club will win this trade – is if Meyer never does well in Minny. Jayson Werth (34) OF: December 5, 2010: Signed as a Free Agent with the Washington Nationals. The team made a statement with this signing. He is overpaid at 7 YRs/$126 MIL Deal. After a catastrophic 1st year of a .231 BA – with 20 HRs, Werth has hit for a BA of.300 over his last 547 AB – with 19 HRs, 30 – 2B and 70 RBI. He has scored 84 Runs and possesses an OBP north of .370. He is valuable when the offense is clicking on all cylinders. Steve Lombardozzi (24) 2B/LF/PH: Drafted by the Washington Nationals in the 19th round of the 2008 amateur draft. The ‘DC Brawler’ is a great Utility guy to play several positions. Nats Career: .257/.291/.620 in 602 AB. Anthony Rendon (23) 2B/3B: Drafted by the Washington Nationals in the 1st round (6th pick) of the 2011 amateur draft. Rendon is starting to thrive, yet it will come with stumbling blocks. He is hitting near .300 since his second recall. He is .279/.332/.756 – with 4 HRs, 14 Doubles and RBI in 179 AB. He could play either 3B or 2B depending on others. Roger Bernadina (29) OF: Signed by the Montreal Expos as an amateur free agent in 2001. Bernadina is best of the bench – as his .191 BA suggests playing regularly in 2013. His Career Numbers: .245/.312/.675 but has swiped 56 Bags in 1171 AB. Tyler Moore (26) 1B/LF/PH: Drafted by the Washington Nationals in the 16th round of the 2008 amateur draft. The young slugger had 10 HRs in 156 (2012) AB, he now has 3 HRs in 2013 for his 106 AB. Give him .218/.275/.679 in 262 Career AB. Chad Tracy (33) 3B/1B/PH: December 20, 2011: Signed as a Free Agent with the Washington Nationals. Tracy was brought in to provide professional AB, he has served up .225/.281/.655 with 6 HRs and 20 RBI for his 187 Nats AB. 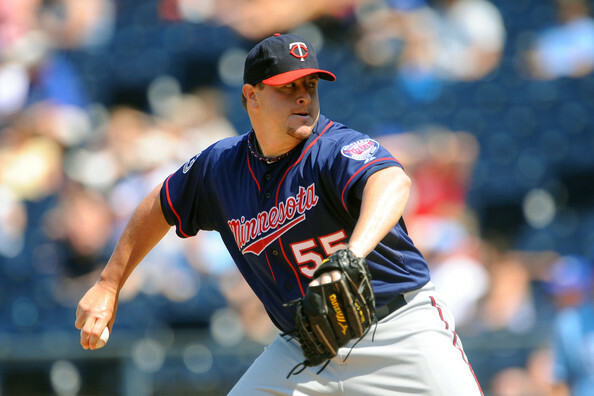 Matt Capps was traded to the Minnesota Twins for Nats Starting Catcher Wilson Ramos, wile Capps is in the Minor Leagues now, Ramos has a solid future ahead of him with Washington. Great deal. Wilson Ramos (25) C: July 29, 2010: Traded by the Minnesota Twins with Joe Testa (minors) to the Washington Nationals for Matt Capps and cash. Ramos has a great future with the club. He has a 3 Slash Line of .270/.335/.775 – with 23 HRs and 83 RBI in 614 Washington AB. He is back and starting to become healthy. It is his club now. Joe Testa (27) RP: Was Released by the club in the first week of 2013. Matt Capps (29) RP: January 6, 2010: Signed as a Free Agent with the Washington Nationals. Matt Capps was 7 -11, with a 3.61 ERA, and 45 Saves in 122 IP. He lost out on his Closers job to Glen Perkins last year. He was signed by the Indians to a Minor League Deal. Verdict on Capps for Ramos: The Nats win this one with about another half season from Ramos. Jhonatan Solano (27) C: Signed by the Washington Nationals as an amateur free agent in 2005. Solano has a .684 OPS in 71 Career AB. Jeff Kobernus (25) OF: Drafted by the Washington Nationals in the 2nd round of the 2009 amateur draft. A rule 5 draft that was returned to Washington when the Tigers did not keep him on the 25 Man Roster. Chris Marrero (25) 1B: Drafted by the Washington Nationals in the 1st round (15th pick) of the 2006 amateur draft. Eury Perez (23) PR/OF: Signed by the Washington Nationals as an amateur free agent in 2007. Jordan Zimmermann (27) SP: Drafted by the Washington Nationals in the 2nd round of the 2007 amateur draft. Zimmermann is one of the best Starters in the NL now, he is 24 – 13 over his last 37 results – and is hovering around a 3.00 ERA again. He is on pace for his 1st 200 IP season. Stephen Strasburg (24) RP: Drafted by the Washington Nationals in the 1st round (1st pick) of the 2009 amateur draft. Strasburg rules aside, he is 26 – 17 (.605) – with a 2.95 ERA and 428 SO in 366.2 IP. His 2013 periphals are similar to his career, so he just needs to receive some more run support. Ross Detwiler (27) SP: Drafted by the Washington Nationals in the 1st round (6th pick) of the 2007 amateur draft. The man started the year with good numbers – but has struggled of late. Nats Career: 18 – 29, with a 3.79 ERA in 408 IP. Rafael Soriano (33) RP: January 17, 2013: Signed as a Free Agent with the Washington Nationals. Soriano is a good Closer..In his 1st year of a 3 YR contract, he has 25 Saves and a 2.33 ERA. Ross Ohlendorf (30) SP/RP: January 5, 2013: Signed as a Free Agent with the Washington Nationals. He has been great in long relief, and even started a game. He is 2 – 0, with a 2.03 ERA in 26.2 IP for the club. Could be a great swing guy going forward. Craig Stammen (29) RP: Drafted by the Washington Nationals in the 12th round of the 2005 amateur draft. Stammen has not been as good in 2013 (3.81 ERA in 52 IP) compared t0 2012: (2.34 ERA in 88.1 IP). Nats Career: 20 – 18, 4.19 ERA in 384.1 IP. Tyler Clippard (28) RP: December 4, 2007: Traded by the New York Yankees to the Washington Nationals for Jonathan Albaladejo. Clippard is 27 – 18, with a 2.73 ERA in 365.1 IP over 310 Appearances. He can Close if needed, but is a great 8th inning guy. He is 6 – 1, with a 1.90 ERA in 42 IP for his 2013 campaign. Albadadejo (30 ) May 3, 2007: Signed as a Free Agent with the Washington Nationals.He was 5 – 2,with a 4.70 ERA in 49 Games and 57.1 IP. He is currently in the Minor League System with the Miami Marlins – pitching for the PCL team New Orleans. The Nats take this deal to the house in a fashionable win. Drew Storen (25) RP: Drafted by the Washington Nationals in the 1st round (10th pick) of the 2009 amateur draft. Storen has struggled this year (4.83 ERA in 41 IP), but his career numbers are good: 16 – 10, with a 3.34 ERA in 202 Appearances – including a 1.163 WHIP. Fernando Abad (27) RP: November 19, 2012: Signed as a Free Agent with the Washington Nationals. Ryan Mattheus (29) RP: July 31, 2009: Traded by the Colorado Rockies with Robinson Fabian (minors) to the Washington Nationals for Joe Beimel. Fabian hasn’t pitched for the Nationals in the Minors since the 2010 season. Beimel, March 18, 2009: Signed as a Free Agent with the Washington Nationals.He was 1 – 5, with a 3.40 ERA in 39.2 IP for the Nats in 2009, once he left the club, he went 1 – 3, with a 3.56 ERA in 97 APP and 60.2 IP. He signed a Minor League Deal with the Braves this year – and is currently throwing with AAA Gwinnett. Mattheus has appeared in 115 Games for the Nats – coming up with a 3.14 ERA. He is currently on the DL with a broken hand. The Nationals clearly won this deal. Yuniesky Maya (31) RP: Signed by the Washington Nationals as an amateur free agent in 2010. He was DFA’d by the club this year, but has made it to Syracuse. he is 4 – 2, with a 3.58 ERA in his last 10 Games Started in the Minors. Xavier Cedeno (26) RP: April 23, 2013: Selected off waivers by the Washington Nationals from the Houston Astros. Cedeno has a 1.61 ERA in 22.1 IP over 26 Appearances for Syracuse. Erik Davis (26) RP: March 28, 2011: Traded by the San Diego Padres with cash to the Washington Nationals for Alberto Gonzalez. Alberto Gonzalez July 31, 2008: Traded by the New York Yankees to the Washington Nationals for Jhonny Nunez. Gonzalez only hit .215 with the Padres in 247 AB. Davis has a lot of time to win this deal for the Nats, as of right now, it is undecided. Jhonny Nunez August 31, 2006: Traded by the Los Angeles Dodgers to the Washington Nationals for Marlon Anderson. Marlon Anderson November 21, 2005: Signed as a Free Agent with the Washington Nationals. Anderson went onto hit 7 HRs and 17 RBI in 90 AB for the Dodgers – before being released. Jhonny Nunez was later used as a piece to acquire Nick Swisher from the White Sox – (with Wilson Betemit). We will call this one a loss for the Nats, but not a big one. Nate Karns (25) RP: Drafted by the Washington Nationals in the 12th round of the 2009 amateur draft. 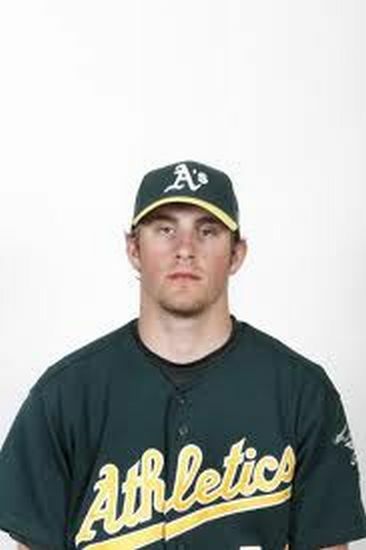 Ian krol is a 6 FT 1 and 190 LB native of Illinois who was drafted by the Oakland Athletics in the 7th Round of the 2009 Amateur Draft. He was the player to be named later in the 3 way trade between the Mariners, A’s and Nationals earlier this year. Krol has stepped up as a young 22 year old – to be a trusted LHP out of the pen for Davey Johnson. Ian Krol (22) RP: March 20, 2013: the Oakland Athletics sent Ian Krol to the Washington Nationals to complete an earlier deal made on January 16, 2013. January 16, 2013: The Oakland Athletics sent a player to be named later, A.J. Cole (minors) and Blake Treinen (minors) to the Washington Nationals. The Seattle Mariners sent John Jaso to the Oakland Athletics. The Washington Nationals sent Mike Morse to the Seattle Mariners. A.J. Cole was ranked #91 by Baseball America this year – and is in A+ with Potomac, holding a record of 6 – 3, with a 4.25 ERA in 18 Game Starts. John Jaso has a 3 Slash Line of .266/.375/.725 with Oakland in a platoon situation with Derek Norris. Ian Krol has lugged 16 IP, 13 SO, 2.25 ERA and 0.75 WHIP in 2013 for the Nats, becoming a nice Lefty out of the Bullpen. Mike Morse was June 28, 2009: Traded by the Seattle Mariners to the Washington Nationals for Ryan Langerhans. Ryan Langerhans OF (33) May 2, 2007: Traded by the Oakland Athletics to the Washington Nationals for Chris Snelling. Ryan Langerhans November 3, 2008: Signed as a Free Agent with the Washington Nationals. Langerhans hit only .200 in 260 for his Mariners Career. Langerhans was released by the Toronto Blue Jays in June. Winner was definitely Washington for picking Morse. There are 3 more players back in the organization still in Krol, Treinen and Cole. Chris Snelling: December 18, 2006: Traded by the Seattle Mariners with Emiliano Fruto to the Washington Nationals for Jose Vidro and cash. Chris Snelling (31) had just 20 AB for the A”s – while Langerhans had 273 AB for the Nats – and turned into Morse. Snelling Played his final game in the Majors in 2008 for the Phillies. The Nats win the Langerhans and Snelling move. Emiliano Fruto August 21, 2007: Traded by the Washington Nationals to the Arizona Diamondbacks for Chris Carter. Chris Carter August 21, 2007: the Washington Nationals sent Chris Carter to the Boston Red Sox to complete an earlier deal made on August 17, 2007. August 17, 2007: The Washington Nationals sent a player to be named later to the Boston Red Sox for Wily Mo Pena and cash. Wily Mo Pena (29): Has not played a game in the Majors since 2011. Wily Mo had 10 HRs and 32 RBI in 327 AB for the Nats. Emailiano Fruto has not played in the Majors since 2008 with the Mariners, he was last seen toiling in the Mexican and Independent Leagues. Chris Carter is not the Astros hitter, he was Left Handed and retired in 2008. Jose Vidro: Drafted by the Montreal Expos in the 6th round of the 1992 amateur draft. Vidro has 856 AB for the Mariners – with a .285 BA before retiring. Vidro was a career .301/.363/.829 with the Expos/Nationals franchise – netting 1280 career hits. Seattle bested the Nats for having Vidro in the 2 years versus Fruto and Snelling. Taylor Jordan (24) SP: Drafted by the Washington Nationals in the 9th round of the 2009 amateur draft. Dan Haren (32) SP: December 7, 2012: Signed as a Free Agent with the Washington Nationals. Gio Gonzalez (27) SP: December 23, 2011: Traded by the Oakland Athletics with Robert Gilliam (minors) to the Washington Nationals for A.J. Cole (minors), Tommy Milone, Derek Norris and Brad Peacock. Gonzalez is 28 – 11, with a 2.98 ERA – over 52 Game Starts and 324 IP. Robert Gilliam is 3 – 4, with a 4.29 ERA in AA Harrisburg for the Nats. A.J. Cole was reacquired in the Mike Morse 3 way trade. Tommy Milone (26) SP: Drafted by the Washington Nationals in the 10th round of the 2008 amateur draft. Milone is 21 – 18, with a 3.91 ERA, 1.27 WHIP in 51 Games Starts and 312.2 IP for the Athletics. Derek Norris (24) C: Was Drafted by the Washington Nationals in the 4th round of the 2007 amateur draft. 3 Slash line of .204/.300/.644 – with 12 HRs and 54 RBI in AB over 2 years for Oakland. Brad Peacock (25) SP: Drafted by the Washington Nationals in the 41st round of the 2006 amateur draft. Peacock never played for the A’s but was used in the Jed Lowrie Trade. Verdict on this one: It is too early to tell, although it looks fairly even overall. It is Money ball versus a solid #1A pitcher. The A’s couldn’t afford Gonzalez, but netted several pieces for him. 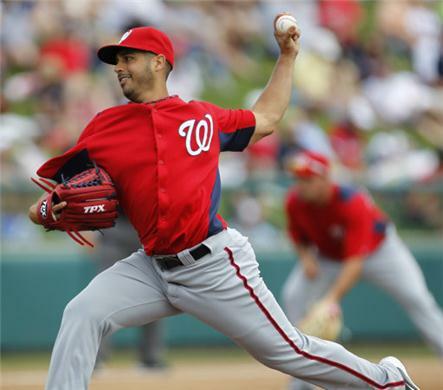 Gio Gonzalez is crucial to the teams Starting Rotation. He won a franchise record 21 games last year, and he helped lead the Expos/Nationals franchise to their 1st playoff spot since 1981. He is one of the only major trades that will define the current roster. He will always be compared against Tommy Milone, plus the production of Derek Norris. You can also follow my Guinness Book of World Record Successful Bid to see all 30 MLB Park in 23 Days – click here. I am happy to be part of such an awesome Magazine-Style Baseball Website and am looking forward to talking to all of the fans of the MLB. Posted on July 23, 2013, in The Rest: Everything Baseball and tagged A.J cole, adam laroche, Alberto Gonzalez, alex meyer, anthony rendon, Atlanta Braves, blake treinen, brad peacock, bryce harper, chad tracy, chris carter, Chris marrero, chris snelling, Chuck Booth. fastest 30 ballgames, cleveland indians, craig stammen, dan haren, danny espinosa, davey johnson, David Freitas, derek norris, detroit tigers, drew storen, emiliano fruto, erik davis, gio gonzalez, glen perkins, gwinnett braves, harrisburg senators, houston astros, ian krol, jayson werth, jed lowrie, jeff kobernus, jhonatan solano, jhonny nunez, joe beimel, john jaso, jonathan alabadejo, jordan zimmerman, jose vidro, kurt suzuki, marlon anderson, matt capps, minnesota twins, montreal expos, nate karns, new york yankees, nick swisher, oakland athletics, Potomac Nationals, robert gilliam, robinson fabian, roger bernadina, ross detwiler, ross ohlendorf, rule 5 draft, ryan langerhans, ryan mattheus, ryan zimmermann, san diego padres, seattle mariners, stephen strasburg, steve lombardozzi, syracuse chiefs, taylor jordan, twitter @chuckbooth3024, tyler clippard, Tyler Moore, wilson betemit, Wilson Ramos, wily mo pena, Xavier cedeno. Bookmark the permalink. Leave a comment.